Fast speeds, 99.999% uptime guarantee, and unwavering customer support have earned Hostwinds a sterling reputation as one of the best hosting services. Touting accolades from big names like HostAdvice, the YellowPages, and PCMag, Hostwinds is a reputable hosting service that is on the rise. To start with, it has a tremendous uptime guarantee, at 99.999%. And, according to current customers, that's an accurate statement. Additionally, Hostwinds’ robust service offerings make it an ideal choice for a wide range of businesses. You can select from shared hosting plans that are economical and offer free dedicated IP addresses and unlimited storage. Hostwinds also has dedicated hosting that is extremely customizable with loads of options and top-rate services, 16 tiers of VPS hosting, and WordPress hosting. In fact, Hostwinds even offers cloud hosting and a unique reseller hosting option if that’s an angle you want to explore. Security is also important, and Hostwinds takes care of it for you. It has enterprise-grade firewalls to protect your websites and constant encryption. For an added bit of security, Hostwinds employs automatic SSH key deployment for further encryption on its Linux VPS services. Hostwinds uses object and block storage for more efficiency and flexibility. Block storage allows you to partition accordingly, organizing and using your storage with the formatting that suits your needs. Storage methods include SSD and HDD, and the company’s VPS services are SSD by default. Finally, Hostwinds uses Softaculous library to import the Magento Ecommerce app. With this tool, you can build, design, and manage an online store straight from your hosting platform. It’s easy to use, packed with features, and fully managed via the cPanel. You can also opt for 4 different levels of enterprise email accounts, depending on your needs. Hostwinds is a hosting option that is extremely easy to use. It features the Softaculous auto-installer, so you can set everything up in just a few minutes. It also makes adding apps a breeze. What we really enjoyed about this service is that it is simple and straightforward. Even to a novice, the website setup and options are easily understood and navigated. Once you add cores, you increase the price, and you also get more RAM, disk space, and bandwidth starting at $37.60/month for 4 cores, up to 96 cores for $247.69/month. Finally, the dedicated servers plans work on an a la carte style. You choose how much RAM, how many IP addresses, how much bandwidth, and which OS you’re using to make a customized dedicated server solution that works for your business. Hostwinds employs Trendy Tools, a type of website builder that makes building really quick. There are several dozen templates to choose from and the popular HTML5 drag-and-drop functionality to place and move elements. You can even employ your own code if you know how and want even more customization. Hostwinds uses a graphical online interface, cPanel, for website management. You can control every aspect of your website from any browser or computer that has internet access. We like that you can set up email accounts, deal with backups, create new domains, and basically do anything you want regarding your website via the cPanel. If you want to backup, you can choose full or partial backups, MySQL database backup, email forwarders, home directory, and more. You also get various restore options. It’s a wonderfully comprehensive list of choices in a surprisingly clear and understandable format. Customer support is available 24/7/365, so they're always around if you have an issue. Around the clock support is essential in the hosting industry because problems with hosting can translate to major losses. Reach customer service via telephone, live chat, email, or online form. The live chat was responsive and gave answers within a minute or 2—and even less—to questions about a variety of subjects. Hostwinds offers VPS and cloud hosting options. Cloud services are super-fast (you can be up and running in less than a minute) and easy to set up. You can choose your own OS or use a prefab app for faster/easier setup. You can opt to be billed monthly or even hourly for cloud hosting, and you’ll get fully managed accounts as well. What’s more, Hostwinds offers backups and snapshots in case there is ever an issue. Hostwinds VPS services can be fully managed or unmanaged, and you can get VPS for both Windows and Linux. All VPS plans come with solid state drive, resilient security protocols, resource isolation, and fully controllable Windows server. They’re also easy to scale, offer nightly backups, and use the most sophisticated hardware for quality VPS service. Hostwinds offers both shared and dedicated hosting services. Which one is best for you will depend on your business needs. If you have a limited budget or don’t have a tremendous amount of traffic to worry about, shared hosting is a more affordable option that lets you have the advantages of a managed hosting service without the high price tag. Alternatively, if you have heavy traffic and need more power, dedicated hosting, while more expensive, is the best option for you. Dedicated hosting also ensures faster speeds and greater privacy. As mentioned above, Hostwinds has customizable dedicated packages, and the options are pretty expansive, so you can get exactly what you are looking for. Hostwinds is a professional, reliable, and dedicated hosting service that really goes the extra mile. Features like 99.999% uptime guarantee, super-fast speeds, strong security protocols, and redundant networks make Hostwinds attractive, and the multitude of options available ensure that anyone can find a solution that fits their price range and needs. 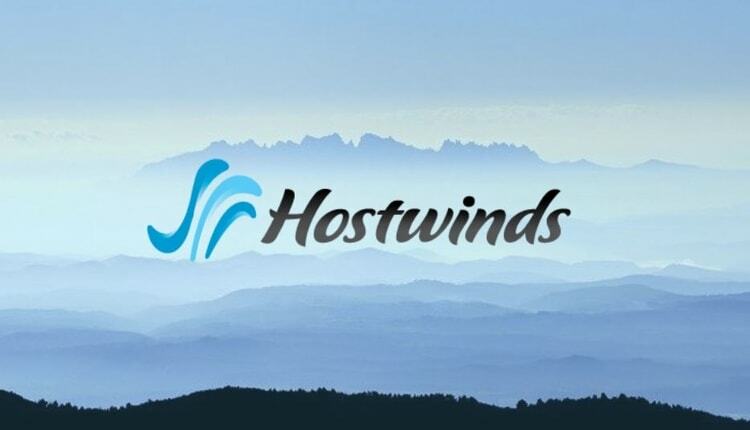 Hostwinds comes highly recommended by our expert reviewers, so give it a try today.